Is your bathroom just not working for you? Do you want more storage, more space, more convenience? If so, you may be scratching your head over how to improve your bathroom layout fast and easily. But there is no single winning formula -- or legally required prototype -- for bathroom layout. Just two principles apply: 1) you must follow local building code and 2) you’ll save money if you don’t change the placement of plumbing fixtures (usually hooked up to your water pipe’s on a single “wet wall”). That being said, here are 6 simple suggestions to improve your bathroom layout, without the hassle and the expense of moving your plumbing. Replace the existing bathroom door. Install a pocket door or bifold in its place. Because your new bathroom layout will not have to allow for the inward swing of a conventional door, you’ll be gaining up to 9 square feet of usable space. Not too shabby for a room that averages only about 90 sq. ft. in total! Resize your vanity. Unlike plumbing fixtures, which come in a range of standard measurements, there’s almost no limit to vanity size. Whether your goal is to go smaller and save space or to add a larger counter and create more storage, replacing a vanity with a model that fits your needs is an easy tweak that will make a big difference. Float your fixtures. A wall mounted toilet, pedestal sink, or floating vanity will save you big time on floor space … perfect for making the most of a tiny (or any!) bathroom layout. BONUS: your floor tiles will be a lot easier to keep clean. A corner-mounted pedestal sink or a deep, narrow trough sink may be the best space-saver of them all. Divide the space. Make your basic bathroom layout so much more functional and streamline the morning rush. Install a partition to separate your sink from the toilet and/or shower area. That way, someone can comfortably brush teeth, shave, etc., while the toilet or shower is in use. Switch the tub for a shower. 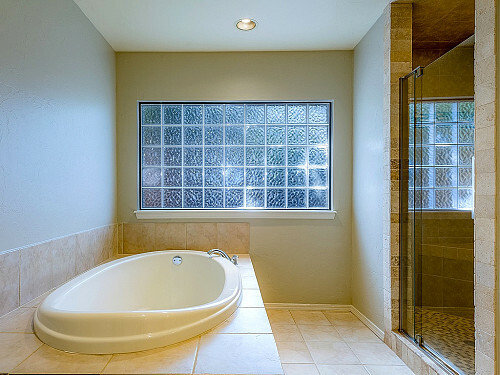 A shower stall requires about 40 percent less floor space than a bathtub does, adding approximately 6 sq. ft. to your updated bathroom layout. NOTE: Real estate experts advise, however, keeping the tub in at least one of your home’s bathrooms for resale value. Keep the tub AND add a luxurious accessible shower. A thoroughly modern upgrade for a largish bathroom is installing a large curbless enclosure that includes open floor space for showering plus a tub. You will not have to change the location of your plumbing to achieve this. Change to cabinetry with rounded edges if you’re renovating. The lack of sharp corners will improve the traffic flow and make your bathroom safer for the whole household -- from toddlers to seniors.